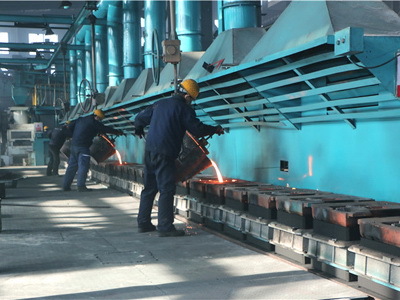 Dandong Foundry is producing various seeding knife points, fertilizer boots, plough tine, press wheel, cast seeding carriers, heavy duty knife points, wing seeder knife points, seeding system attachment, seeding tubes for our our clients in AU. 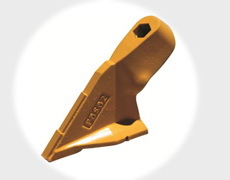 We use automatic molding line and shell molding production processes to guarantee the high quality of cast iron seeding points with the lowest production costs. 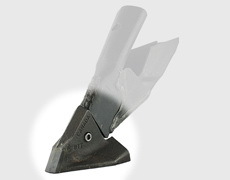 Because of copyright consideration, we can not demonstrate the photos of the knife points we are producing, so the following seeding points are just similar as we are producing. The automatic molding line can perform the molding process automatically, only need one worker to operate the machine. 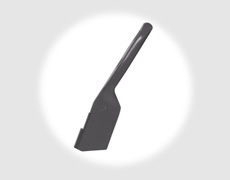 This production method is suitable for producing seeding points, seeding knives, plow bracket etc. 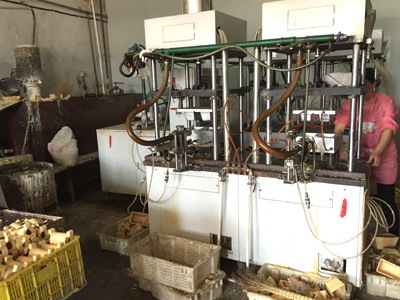 Shell molding casting process will use pre-coated resin sand as the main molding materials, which could produce for very complex castings, so it is suitable for producing seeding boots and other complex tillage and seeding cast iron parts. 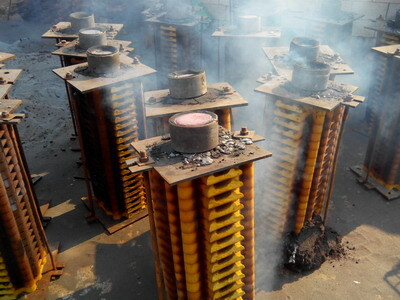 Lost wax casting process is suitable for producing cast steel seeding points, and also for alloy steel seeding parts. 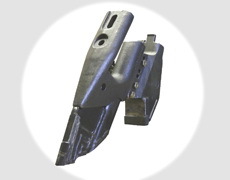 It can produce complex steel castings with good surface quality. There are three types of lost wax casting processes, including water glass, compound shell, and silica sol. © LIAONING BORUI MACHINERY CO. LTD. All Rights Reserved.